The City Circle Tram was first introduced for the convenience of tourists in Melbourne. This free transport is incredibly useful to the many families who visit Melbourne every year; running daily along the city cbd circuit that covers all major Melbourne attractions. Passengers are welcome to hop on and off at any of the stops along the route, and visitors will also be happy to know that the tram also has free commentary in English. The pre-recorded commentary will give you an overview of the historic landmarks and their significance to the city of Melbourne. Passengers can get off the tram and explore the local tourist attractions. 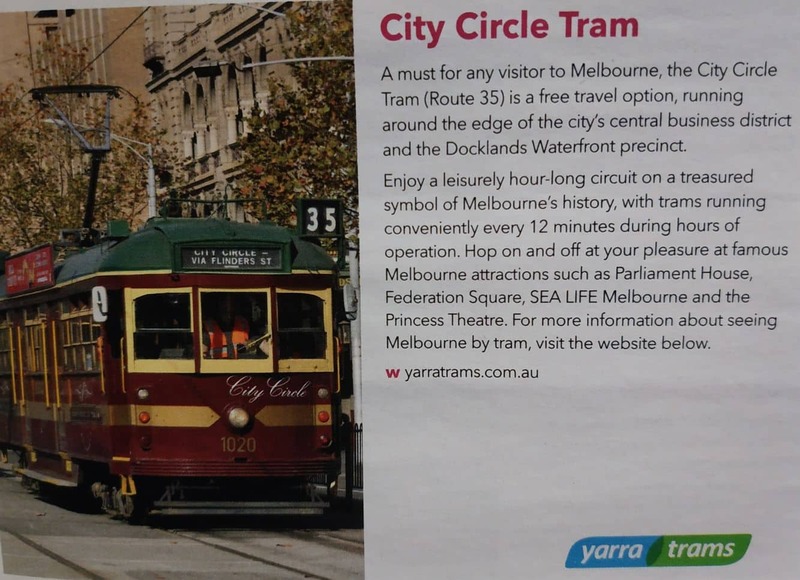 A pdf map of the City Circle Tram route can also be found below. There is no need for a timetable, as the tram arrives at designated stops every 12 minutes and runs from 10am to 6pm on weekdays and til 9pm on weekends. Unlike other trams, the City Circle Tram is reddish-brownish in color, making it easily distinguishable from the normal trams (which aren’t free) – you’ll also see the name “City Circle Tram” on it. 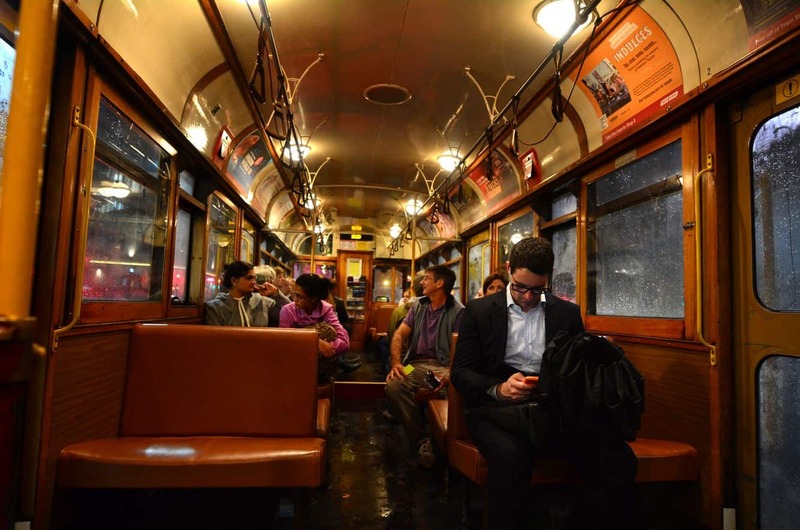 The tram route includes stops along La Trobe St, Spring st, the Docklands and Harbour Esplanade. Visitors often get off at Waterfront City to enjoy gourmet dining, shopping and many other activities. Points of interest along the route include the Old Melbourne Gaol, the Melbourne Aquarium, The District Docklands (formerly Harbour Town), the Immigration Museum, Federation Square and the Docklands. See route map in image above. Looking at the online timetables, it appears that it takes approximately 55 minutes to do a complete loop of the tram route. Our son is running the full marathon do we need tickets to get into MCG to watch the finish ? and if so where do we buy them and what is the cost please? I am not 100% sure if you are referring to the Melbourne Marathon since you left the question on our City Circle Tram page, but i will go with the assumption since the event is just next month. Having combed through the event website, it states “Come along and support your friends and family – entry into the MCG is free on Race Day! Spectators can enter the MCG from 6:00am via Gate 2”. Hope this helps and all the best for your son! There are actually no trams that go out to the airport. The easiest way to get from the airport into the city would be either to take the Skybus to Southern Cross Station and then walk the 1km to your hotel – otherwise you would likely need to take 2 trams as you need to head both east and then north (it’s 2 blocks for each way). Alternatively, you could always take a taxi from the Airport, but you would be looking at a price of around $55-65 for the trip, as opposed to only $18 for the Skybus. Hi, I would like to hop on a city circle tram nearby Southern Cross Station. May I know where and what is the station I should go for? The City Circle Tram doesn’t run along Spencer Street, however it does intersect at both ends: Flinders Street/Spencer Street intersection and LaTrobe Street/Spencer Street intersection. Refer to the map on our page here for the route. we are staying at 199 William St and need to travel to Rod Laver Arena for the Australian Open. Is there a tram or bus we can take from William St or nearby. I believe there is a free tram from Flinders station for the Open, can we board that tram anywhere else.? I would avoid the City Circle Tram as it won’t take you directly to your destination. Transport to and from the Australian Open is made easy by the free tram services that run from the CBD to Rod Laver Arena and Hisense Arena. All you need to catch the free tram is a valid Australian Open ticket for that day. The service operates until one hour after the end of play. You can catch a route 70 tram at the corner of William and Flinders Street. So walk down the hill and there will be tram stops along Flinders Street. This route stops right next to Rod Laver Arena. Have a wonderful time in Melbourne! Hi, we are travelling to Melbourne in May for National championships at Hisense. Arena. We will be staying on Collins street. I see on the tram map that route 70 on Flinders street is in the free zone. Does this tram continue on to the arena or is this a paid service. If so could you tell me the costs associated in getting there. No, the Free Tram Zone does not extend to Hisense Arena. You are correct that that #70 tram runs past Hisense Arena and stops at Rod Laver Arena (Stop 7B), Hisense Arena (Stop 7C) and AAMI Park (Stop 7D). You will therefore need to purchase a Myki Card ($6.00) from the train station or an information desk (Fed Square or Bourke Street Mall). The trip will cost for an adult $4.30 for 2 hours or $8.60 for a full day. Children and concessions are cheaper and daily weekend fares are cheaper. We are staying near Victoria market for the Australian Grand Prix. Are there any free tram stops near the Pegasus Aparthotel and do they run to the circuit on all the race days? The free trams in the Melbourne CBD do not travel all the way to Albert Park for the Grand Prix. The free tram service in Melbourne runs in these locations. However, in previous years, Yarra Trams have offered free tram services for those holding tickets to the Grand Prix. Check on the Yarra Trams website closer to the event date to see if they are still running that promotion for next year. Otherwise, you can purchase a Myki card from a train station or information centre ($6.00) and then put about $8.00 to cover a daily return fare. We are attending a wedding on January 27th. We arrive in Melbourne the day before, 26th, Australia Day. 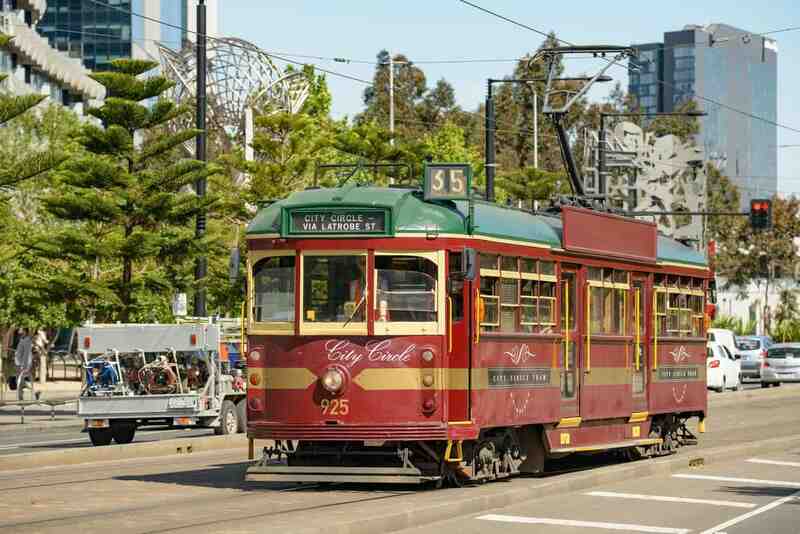 We intend to park in a parking station close to NewQuay Piazza Docklands, about 3:00 p.m. Can you please advise what tram/trams we need to catch to get us from Docklands, to stop 19 on St Kilda Road, opposite the Shrine of Rememberance. We were hoping to visit Government House, before returning to Docklands for Diner and to enjoy the nights festivities. 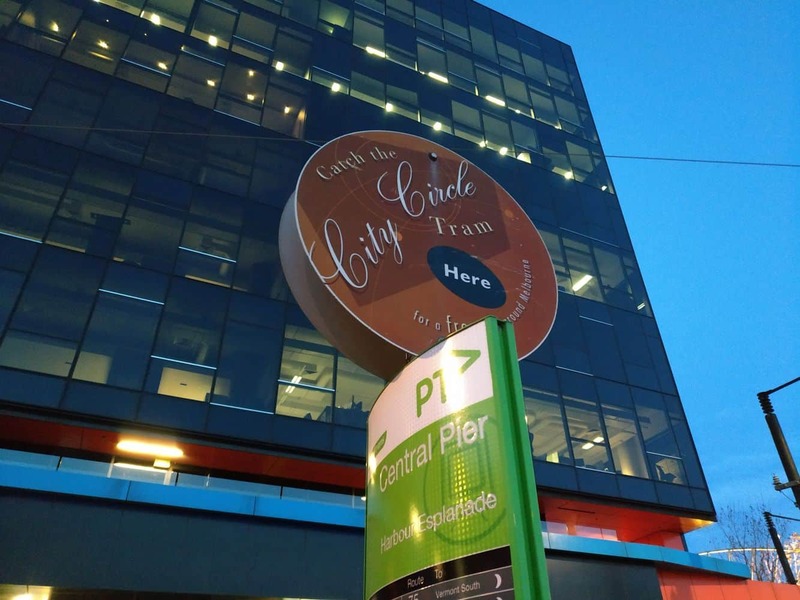 From New Quay, hop on a tram 30, 35, 70, 75 or 86 which will take you up to Flinders Street Station. Get off there and change to a route 3, 5, 6, 16, 64, 67 or 72 which will stop at the Shrine of Remembrance. However, just note that the Australia Day Parade may impact on the tram timetable as the parade runs up Swanston Street and St. Kilda Road. Depending on the time you choose to visit, trams may not run during the parade times (typically between 9am-12pm). Have a wonderful time in Melbourne and at the wedding! What time the city circle tram starts on weekends ? 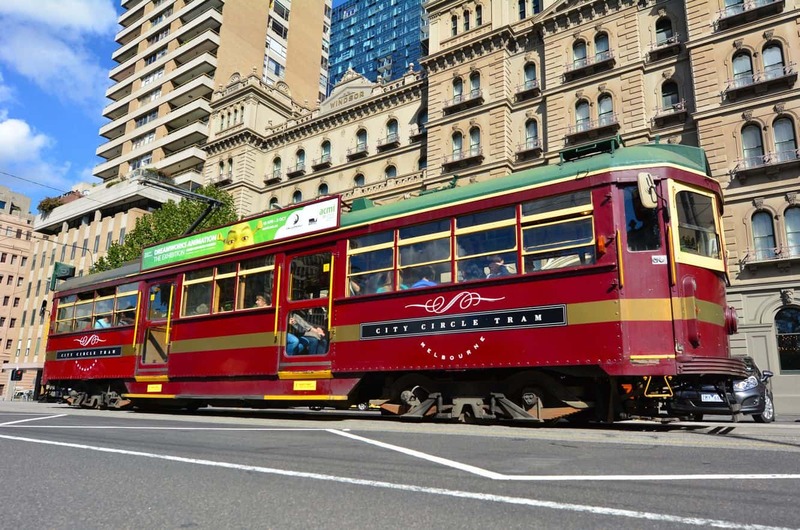 The City Circle Tram runs in both directions approximately every twelve minutes between 10am and 6pm Sunday to Wednesday and extended hours, 10am – 9pm Thursday, Friday and Saturday. We are arriving at 9pm on a Friday night in Nov. Can we get to Doubletree Hilton on Flinders via public transport at that arrival time? And do you know if there are luggage restrictions on trains/trams? There’s 3 passengers – 2 adults, 1 baby. No luggage restrictions, but some of the older trams have 2-3 stairs to navigate up into them. Most of the modern trams and trains are level with the stop, so you should have no difficulty rolling luggage or a pram onto them. 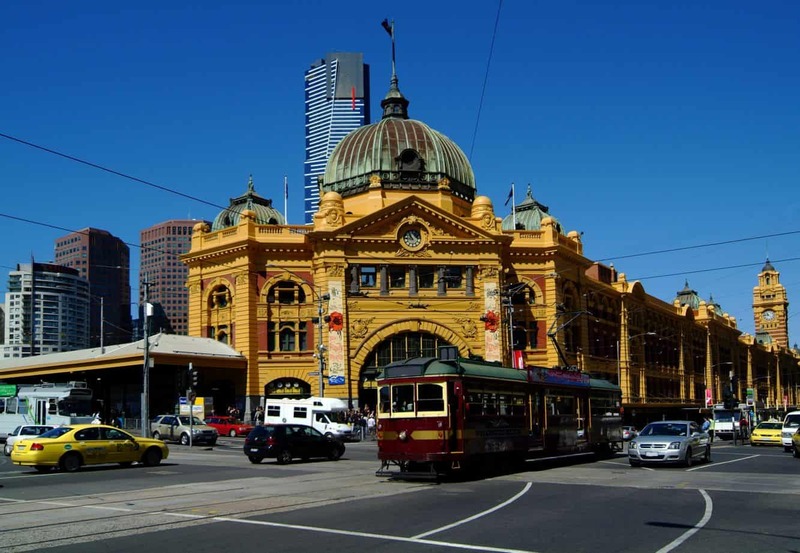 As for getting to your hotel, there are trains and trams that run all night and lucky for you, your hotel is right opposite the main travel hub in Melbourne, Flinders Street Station. You don’t mention where you are travelling from, but if you are arriving at the airport, either take the Skybus or a taxi into the city. The Skybus will take you to Spencer Street Station and you can board a train to Flinders Street Station from there. We are arriving from Sydney on Friday and staying at the Mecure – 43 Therry street. Is there a tram stop near by where we can get on this tram? 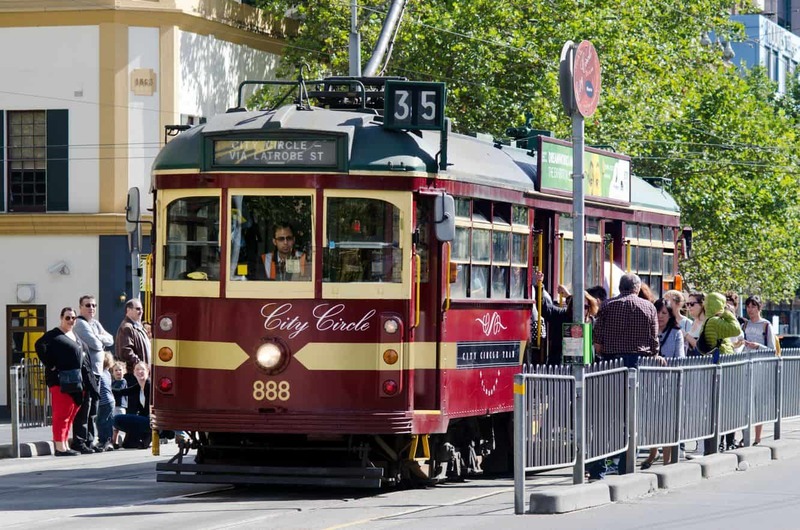 The closest City Circle tram stop to your hotel is on the corner of Elizabeth Street and Latrobe Streets. You will then need to walk 2.5 blocks to get to your hotel (5 minute walk). Just note that any Melbourne tram is free within the “Free Tram Zone” in Melbourne, so you don’t necessarily need to wait for the City Circle. I would catch a tram up to the Queen Victoria Market and get off there. You will only be a short 2 minute walk from your hotel. Look out for the #19, #57, #59 trams running up Elizabeth Street. They will be free right up to the Queen Victoria Market, so no need to purchase a ticket! Have a great time in Melbourne! Thank you for the great advice regarding the ‘Free Tram Zone’. We would also like to visit Punt Road Oval and Swan Street Richmond, is there a tram route we can use or is a train from Flinders Street Station to Richmond Station better? The Free Tram Zone doesn’t extend as far as Richmond, so you will need to purchase a Myki card from a train station (Flinders Street Station have customer service agents who can assist you). They cost $6.00 to purchase (unfortunately) and then you will need to put around $8.20 for a daily fare which will give you unlimited travel on that day. I think there are “Tourist” cards called “Myki Explorer” which are available for around $15.00 and come already loaded with unlimited day of travel on trains, trams and buses. To get to Richmond from Flinders Street station, catch the number 70 tram on Flinders Street (the stop in between the station and the Young and Jackson Hotel, head left as you walk out the main entrance on the corner). Make sure you touch on with your Myki card. Alternatively, you can also use the Myki card to catch a train straight to Richmond which will be quicker. You can then get off at Richmond Station which is on Swan Street. If you need, you can catch the #70 tram as it goes past if you need to travel further along Swan Street. Yes, simply get off on the corner of Nicholson and Victoria Streets (Carlton Gardens) and walk one block to the firestation. We will be visiting Melbourne on a Sunday when our ship docks. Do we need to buy a myki card straight away to get the tram 109 from the pier? Are all attractions open on a Sunday? Does the 109 stop near to the City Circle tram route? 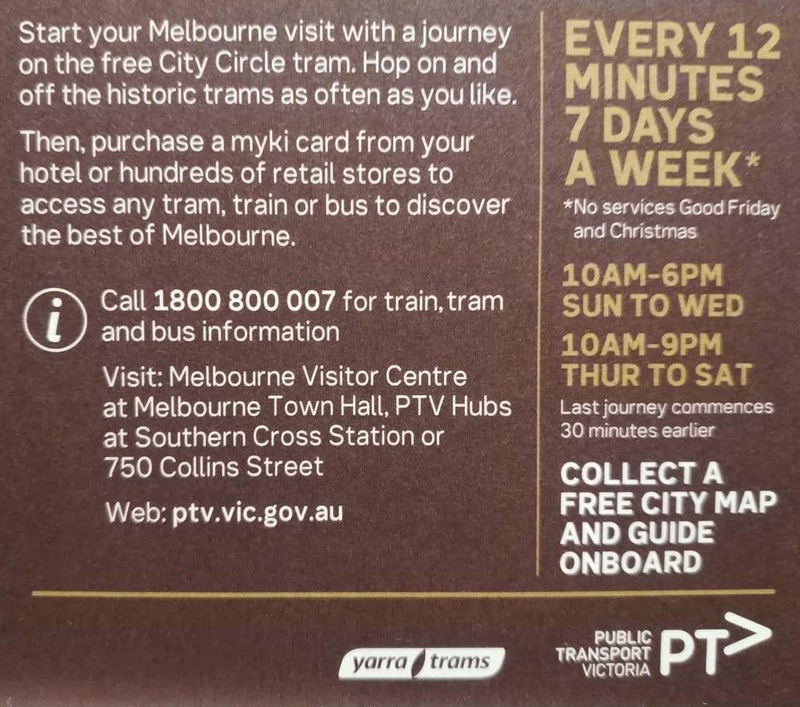 Yes, you will need a Myki card as the “free tram zone” doesn’t extend to Port Melbourne. The two stops (109 and the City Circle) will intersect near Clarendon Street and Flinders Street. Here is a map of the 109 Route. Yes, major attractions are open on Sunday, such as the Melbourne Aquarium, Melbourne Star Observation Wheel, the Eureka Skydeck etc. Wanting to catch city circle tram from casino end to melbourne central station after dinner , when does the last tram go past that stop? 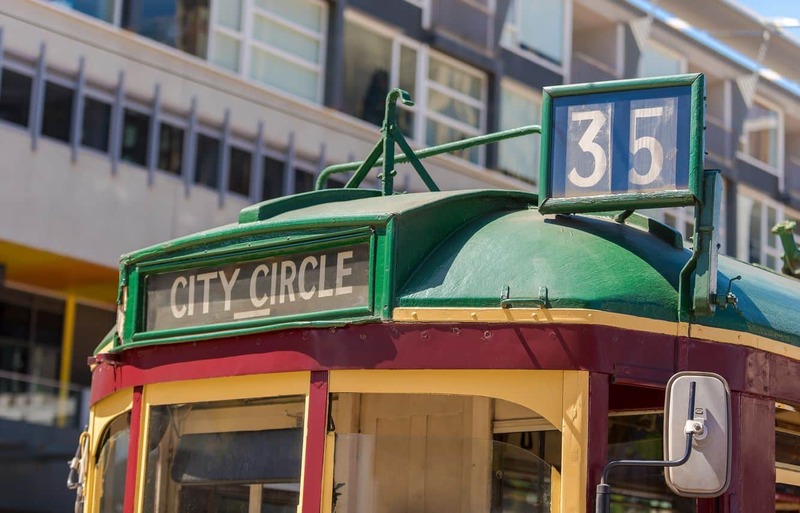 City Circle trams run in both directions approximately every twelve minutes between 10am and 6pm Sunday to Wednesday and extended hours, 10am – 9pm Thursday, Friday and Saturday. Refer to the online timetable here for the times of your chosen stop. The City Circle Tram runs in both directions along the line. I see mention of specially marked bus stops for the tram. What do these signs look like, please? Is there a picture of them on this site anywhere? 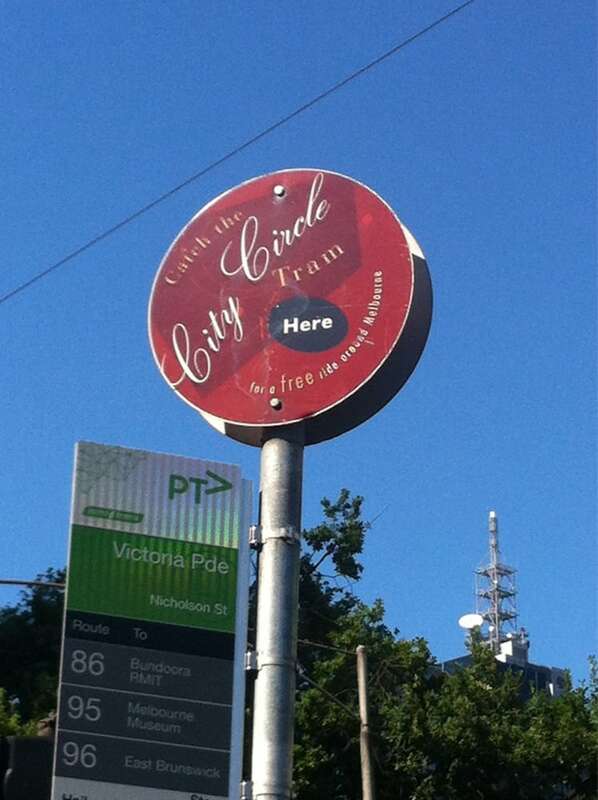 The City Circle Trams stop stop at the regular tram stops indicated by this kind of sign. You can find an image of the tram route here. The Melbourne Zoo is outside of the CBD (4kms away), so unfortunately the City Circle tram doesn’t get you very close. TRAM: Catch the #55 tram (West Coburg) which runs from William Street and stops directly outside Melbourne Zoo. Have a great day at the Zoo! You can purchase your tickets online here. Just remember, kids are FREE on weekends! 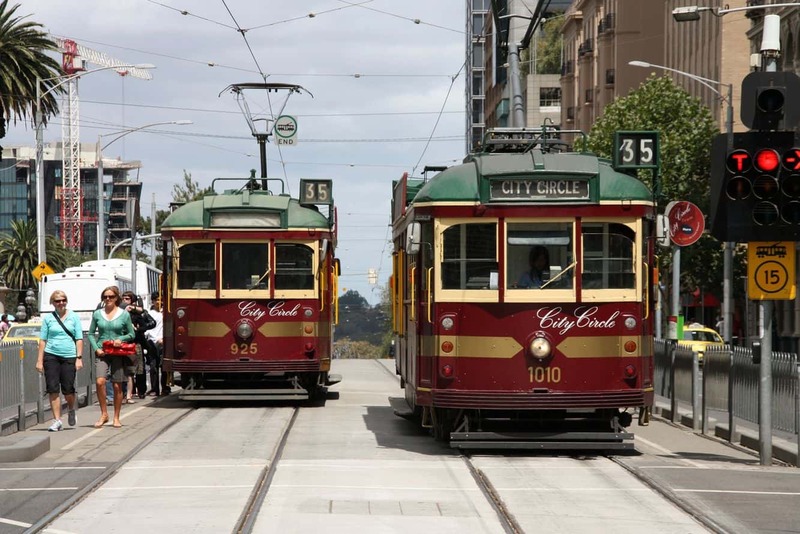 How long does it take to do the whole circuit in the free city circle tram if we stay on board for the whole circuit please? The entire circuit takes approximately 60 minutes to complete.